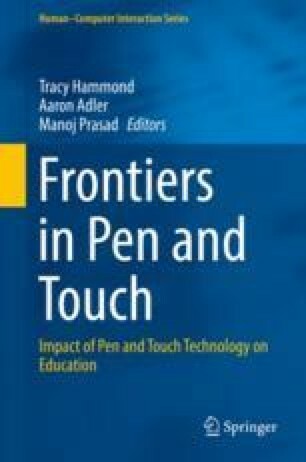 Derived from contributions to the Conference on Pen and Touch Technology in Education (CPTTE) in 2016, this edited volume highlights recent developments for pen and tablet research within the domains of computer science, education and outreach. This book will be of great interest for researchers and educators at every level. This book covers topics such as teaching math at various levels, from elementary to K16 and higher education classroom, as well as new technologies for K-12 classrooms, revealing novel tutoring systems in STEM education, and creating informal education, outreach, and games. Throughout this book, practitioners and theorists propose new ideas to advance accessibility to knowledge and outline future perspectives in digital teaching and learning. Thanks to Dr. Anna Stepanova and Dr. Jan Hammond with their help with this introduction. Photo credits to Randy Brooks and Aqib Bhat.